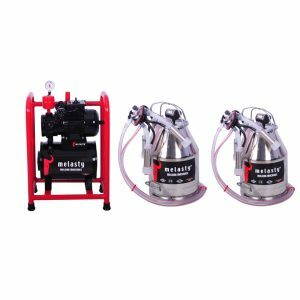 New shipment of milking machines will arrive early May! 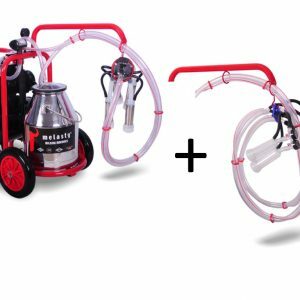 Melasty, single milking machine for cows, portable electric, 2 handles 6 gallon bucket TJK 1-PS with maintenance box included! 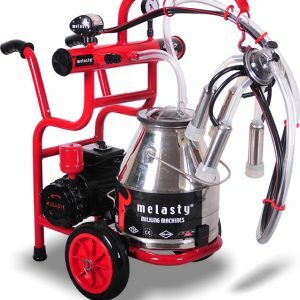 Melasty, double milking machine for cow, electric portable TK 2-PS with maintenance kit included! 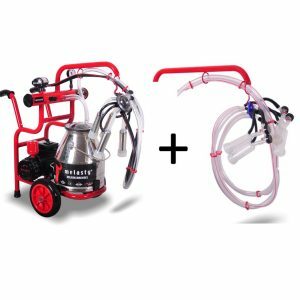 Questions about the Portable Milking Machines? 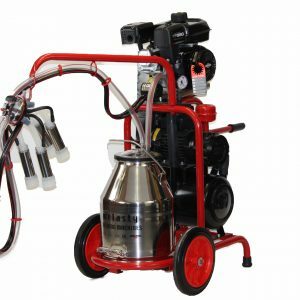 Let us help you find the right Milking Machine for your farm! 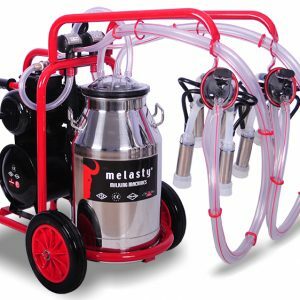 What makes a Melasty Portable Milking Machine different from other Portable Milking Machines? 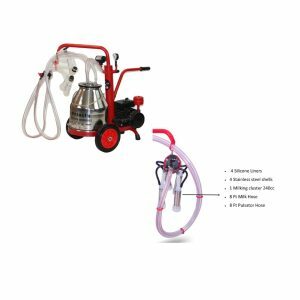 While there many different brands of Portable Milking Machines, the problem is finding the one with the top quality and the spare parts that you will use for years to come. 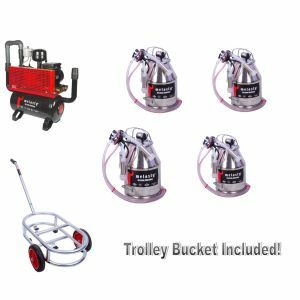 We understand that you need to invest your money in a machine that is durable, have you heard before that the cheapest is not always the best? Quality: Our machines have powder coated painting, so they are are well protected from rust. 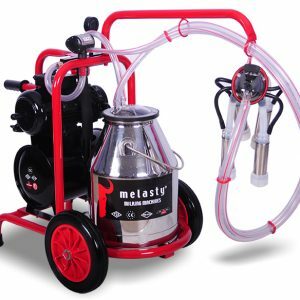 The MELASTY exhaust system is 50% quieter than other milking machines, so this means less stress for the animals and more milk yield. The closed cycle hygienic cleaning system is an automatic washing system that makes cleaning hassle free! 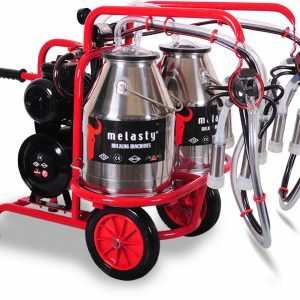 Wide variety of designs: MELASTY offers a mini, single and double version, so you get the size milking machine that is best for the size of your farm. Our Package is well done. 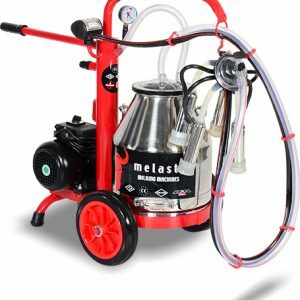 Melasty offers all the spare parts for your portable milking system. 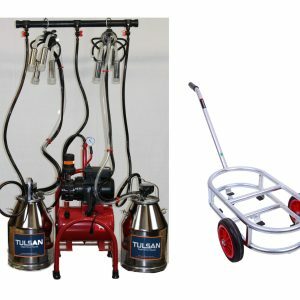 This includes shells, rubber and silicone liners, vacuum regulators, muffler hoses, all that you need to keep your machine running.